These are busy and troubling times. Despite a ceasefire in the war against Gaza, the ongoing siege, trauma and suffering of the Palestinians continues. Below is a summary of public work undertaken by IHRC in the last week or so, on the issue of Palestine and so many others. Sadly we cannot cover many issues, but with your continued support and donation we can start to address more in what are increasingly austere times. 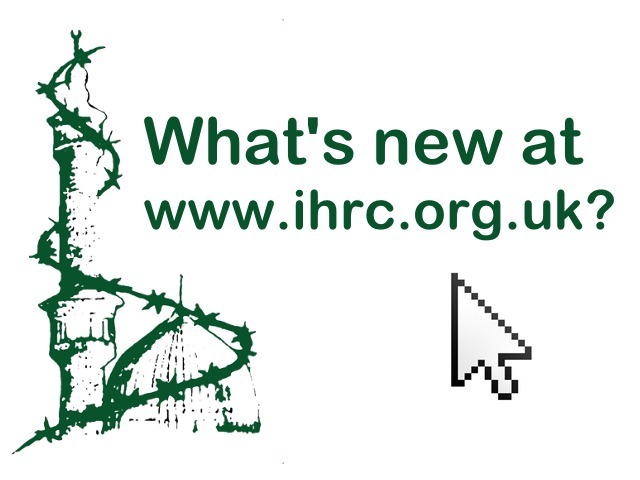 A report from IHRC’s emergency vigil for Gaza on Thursday 15 November will be posted shortly. Watch this event live on http://www.ihrc.tv at 6.45pm GMT on 11 December. You can email in questions or post them on our facebook page or tweet them. Please join us in the struggle for justice.